This article is written based on people’s belief in metaphysics. Aura healing is a great way to work towards general energetic balance. While you can always consult aura readers and aura healers for effective energetic balance here is some useful information and guidelines about auras, your energy field’s seven layers, and various ways of healing auras. Healing with the chakra energy system occurs on a very deep level of consciousness and when you start to learn about auras and your energy field, you’re are opening yourself up to a vast aura-healing potential. It means you are expanding your field of consciousness and start to harmonize your thought patterns. So what exactly is an aura and how is it healed? Aura is essentially an energy field and all physical matter has auras. In the case of human beings, the field may also be referred to as a subtle body or the human energy field. It’s referred to as the subtle body because the field can’t be perceived with our 5 senses. We need to develop a certain amount of sensitivity and acuity to perceive some of the higher vibrations and subtle fields of an aura. With the availability of aura picture readings, we can also use these tools to help visualize our auras. Etheric body – This is the first and densest layer, where the physical body gets formed. 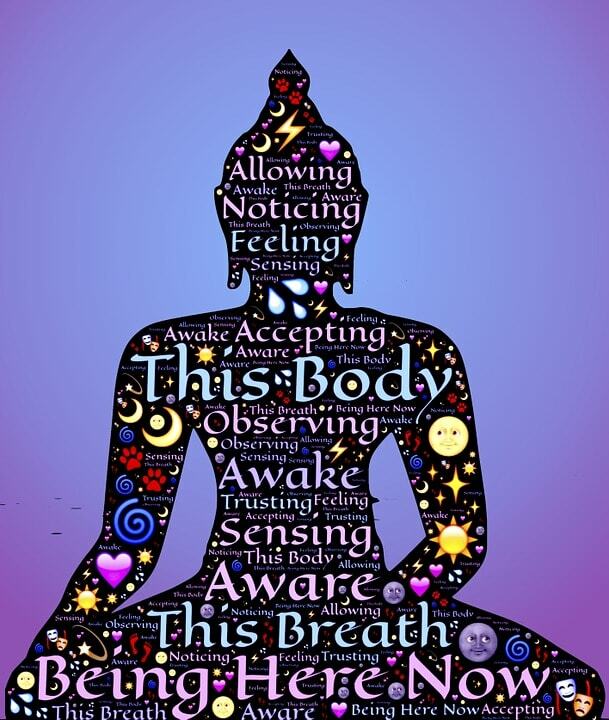 Emotional body – This is where emotions occur and human beings develop self-love. Mental body – It comprises of beliefs and thoughts which are the mental aspect. When this layer is healed, it helps create positive thoughts. Astral body – This layer exists on the astral plane; it holds records of our past – childhood experiences conception and pre-conception, and our past life experiences. Etheric body – This is the spiritual plane; it encompasses our purpose in life and our will. Celestial body – It is related to the spiritual place and denotes unconditional love for all of creation as well as divine love. Ketheric body – This is the last layer; it exists on the spiritual plane and vibrates at the highest frequencies. It’s the layer of oneness with the universe, divine perfection, and divine wisdom. Colors are one of the most effective ways of healing auras. They are the waves that travel through space and depending on the wavelength, they are measured in nanometers and our eyes also register various colors. Sine waves are the measurement of energy used to depict vibration, waves, and frequency. This is a single frequency repeated indefinitely in a certain timeframe. Your subtle body, the chakras, and auras all vibrate at different frequencies as per their belief. The colors of your aura are determined not just by your thoughts, feelings and internal state, but also by the external environment, surroundings and your clothing. Since everything has some energy, it interacts with everything else around you as they believe. Eat a rainbow food diet – Not only does this improve the balance of the energetic body, but benefits the spiritual and other layers of the aura too. Using color to charge water- Get colored glass bottles from thrift shops and use a transparent filter to cover the top of the bottle. Fill up the bottle with pure spring water and place it in any sunny spot. Now allow the water to charge in the sun for a couple of hours. You can use an orange or blue-colored bottle. The water from the blue bottles helps energize the physical body while the orange water helps balance the emotional-energetic body. Color visualization – Find a quiet place, sit in a very comfortable position and close your eyes. When you bring bright white light into your body, you start to open the blockages in the very first aura layer. Just imagine a very bright white light entering your body through your crown chakra. The light completely fills your skull. Next, imagine the light traveling down through your body, filling your shoulders and neck, your chest and arms, your abdomen, solar plexus, pelvis, and all the way down through your legs right to the toe tips. Once your entire body is filled with this white, healing, bright light, simply rest in that space and allow it to calm you. Understanding how to balance auras is important to overall spiritual and energetic well being. Affirmations are another useful aura healing tool. These work on the mental-energetic body, which is the aura’s third layer. It’s where you are able to balance all your thought forms. Use these affirmations at any point of the day or even when you are just getting into bed. These affirmations can assist you in accessing deeper layers of consciousness; it helps you re-pattern various thought forms that are embedded deeply in your aura and when you repeat these affirmations just before getting to bed it helps greatly in calming. Just as we all take care of our physical body, we also need to care for our energy-body. The aura healing methods that we just discussed above and getting an aura chakra reading are effective tools in healing the various layers of our aura. As spiritual energy isn’t limited by space and time, it’s possible to heal auras remotely. This type of healing is particularly useful in case there are geographical or physical limitations. Remote aura healing promotes stress-release and can be very calming. Many experienced aura healers offer remote or distant aura healing to clients if required and you can also practice aura healing at home to improve your energetic balance.